What does Badar mean, details, origin, short & easy attributes? Badar pronunciation in 20 different native languages. Arabic Meaning: The name Badar is an Arabic baby name. In Arabic the meaning of the name Badar is: Full moon. Badar is baby boy name mainly popular in Muslim religion and its main origin is Arabic. Badar name meanings is Full moon. People search this name as Badar, Sahrish badar, Badar name sahaba, Waleed badar, Badar name meaning in urdu. Badar is written in Urdu, Hindi, Arabic, Bangla as بدر, बदर, بدر, বদর. Other similar sounding names can be Badee, Badeeh, Badeel, Badi, Badi al zaman, Badii, Badiil, Badiul alam, Badiuz zaman, Badiy, Badr, Badr al din, Badr e alam, Badr ud duja, Badran, Badri, Badrud duja, Badruddin, Badrudeen, Badshah. Each letter meanings in Badar Name. Popular personalities with Badar Name. Badar Munir was an actor and film director. Badar was born in 1940 in Madyan, Pakistan. He passed away on October 11th, 2008. Badar Khalil is an actor, television director, presenter, actress, director, and television presenter. She was most active from 1968 to present. Badar was born Badar Khalil in Lahore. Badar was born on March 16th, 1956 in Shillong. Badar Miandad was a qawwali and ghazal qawwali. He plays Pump organ. He was most active from 1974 to 2007. Badar was born on February 17th, 1962 in Pakpattan. Badar is also known as Badar Ali Khan. He breathed his last breath on March 2nd, 2007. Badar uz Zaman is a pakistani classical /khyal singing, indian classical music, and khyal musician. His most notable accomplishments were from 1956 to present. 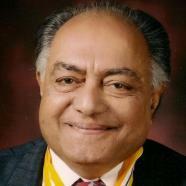 Badar was born in 1940 in Lahore. Badar Al-Maimani is a soccer player for the Fanja SC, Muscat Club, Al-Riyadh SC, Al Ahli SC (Doha), Al-Sailiya SC, Ettifaq FC, and Oman national football team. Badar was born on July 16th, 1984 in Oman. Badar is also known as YYY YYYYY YYYY YYYYYYY(Arabic). Shahin Badar is a pop, electronica, trance, hindi, world music, fusion, alternative dance, sufi, trance music, indian pop, jazz fusion, and sufi music singing and songwriter. She plays Vocals. She was most prominent from 1996 to present. Shahin was born on June 17th, 1974 in Colchester. Asma Badar is a television in india, actor, and indian televisionactor. She has been prominent since 2011. Asma was born on January 11th, 1988. Rich Badar is a football player for the Pittsburgh Steelers. Rich was born on March 8th, 1943 in Cleveland. Saleem was born on May 16th, 1953 in Karachi.